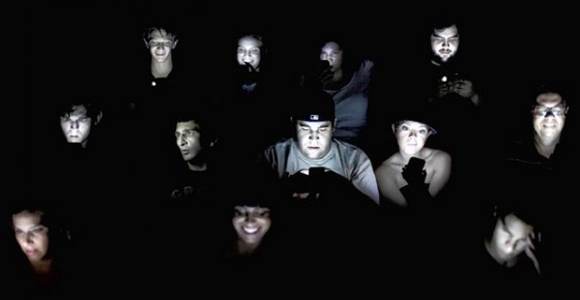 How many times have you been at the the theater and had that annoying guy in front of destroying his 55 gallon drum of popcorn with feed straps whip out his cell phone and forget to dim the brightness and distract you from the movie? We all know that swiping up and simply sliding the toggle back to the left dimming the screen is complicated and difficult but that won’t stop you from wishing the theater attendant would boot him out. If that’s you in the movie theater perhaps Apple might have good news for you in iOS 10.3! Its called Theater Mode and as it turns out Apple invented it. LOL But according to Forbes the new Apple Theater Mode will be located on the control center where the current brightness slider is baffling all those movie goers. Shaped like a popcorn, the icon will most likely auto dim your screen so the already frustrated movie patron behind won’t have to needlessly suffer from being blinded by you using your cell phone. Nothing official is known about it but it’s safe to say it will be an auto dark mode that has super muting powers to avoid being heard as well. Stay tuned and and we will keep you posted as soon as beta version 10.3 for iOS drops.